MAG Property Development (MAG PD) has successfully completed its participation at Cityscape Global 2017, which took place from 11th to 13th September in Dubai World Trade Center. During the exhibition, the company announced the launch of three major real estate projects including ‘MAG Creek Wellbeing Resort’ at AED 2.2 billion, ‘MAG EYE’ at AED 4 billion and ‘MBL Residence’ at AED 615 million. Covering 898,786 square feet, MAG Creek Wellbeing Resort represents the company’s ability to achieve excellence in the industry and exceed customer expectations by introducing innovative and unprecedented real estate concepts. It is the first project in the region to combine the highest standards of health and luxury facilities, and to ensure this idea is implemented with the height of precision, MAG PD has joined forces with the world’s finest expertise after reaching a new partnership with Delos™ – a leading wellness real estate and technology consultancy. MAG EYE is one of the exclusive communities being developed in the heart of Mohammed bin Rashid City in Meydan Dubai, and is situated close to the Meydan Racecourse and many of the city’s most important landmarks including the Burj Khalifa, Dubai Mall and Downtown Dubai. 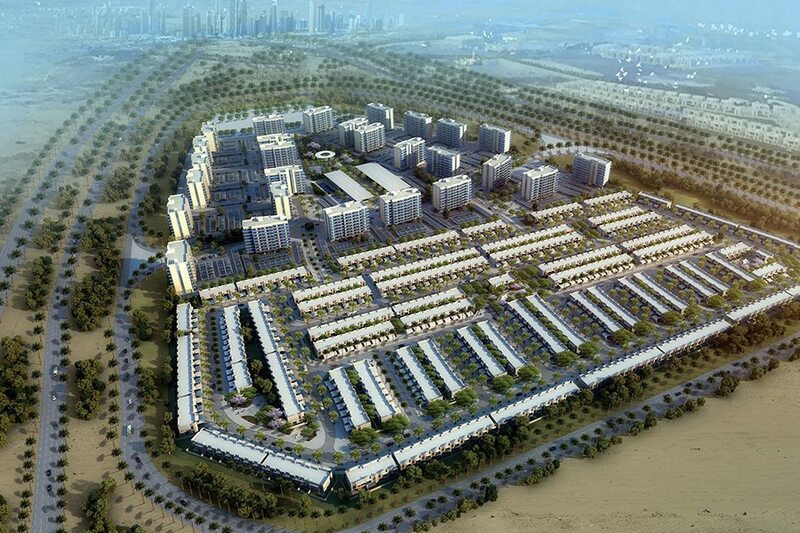 The project consists of 4,000 units as well as 536 townhouses, and residents will also benefit from easy access to the city via the major Al Khail and Sheikh Mohammed bin Zayed roads. MBL Residence tower is a 40-level residential tower located in Jumeirah Lakes Towers. The 758,875 square foot development features 472 high-end one, two and three bedroom apartments of different sizes. Residents will enjoy premium amenities including private parking, a fully equipped gym and an outdoor swimming pool, as well as restaurants and cafés. The project is due for completion in Q4 2019. “We expect to see more positive results in the near future as we received a lot of enquiries about the various projects we are developing in Dubai and the UAE. A high proportion of our visitors showed a real interest in cooperation, investment and partnership,” Al Gaddah concluded. MAG PD launched its ongoing investment strategy in 2014 and it will continue until 2020 with a total budget of AED 15 billion. By the end of the first half of this year, the company’s UAE investments had reached AED 9.8 billion.